Robert Whiteman, by One of his Attorneys. The above matter involves a personal injury suit by Plaintiff against the estate of William Gutman for injuries and damages stemming from an automobile accident occurring on December 31, 1995. After a jury trial concluding on March 15, 2000, the jury returned a verdict in favor of Robert Whiteman in the amount of $124,500.00, reducing the amount by 43% for Plaintiff's contributory negligence for a total award of $70, 965. (See Jury Verdict and Judgment Order, attached hereto as Exhibits 1 and 2). This Court should set aside the jury's verdict and grant Plaintiff a new trial, or in the alternative, set aside the portion of the jury's verdict finding that Plaintiff was contributorily negligent because there was no evidence presented at trial to support an instruction on contributory negligence, nor was there any evidence presented to support the jury's verdict that Plaintiff was 43% negligent. 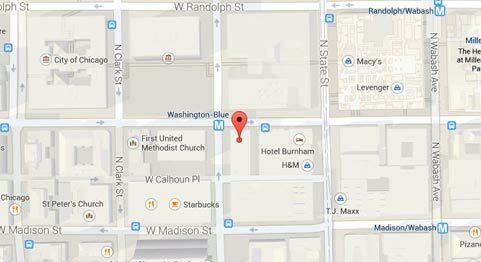 At trial, Plaintiff Robert Whiteman testified that while waiting in his vehicle (“Vehicle 1 ”) for the light to change on Milwaukee Avenue, he began to proceed northbound when Defendant's car (“Vehicle 2”), proceeding southbound on Milwaukee Avenue, crossed over the ? ?nter line, striking the car in front of Mr. Whiteman (“Vehicle 3”). Vehicle 3 was pushed into Vehicle 1, driven by Plaintiff. Mr. Peter Orsa, a passenger in Vehicle 1, also testified that Defendant's vehicle crossed over the center line at a high rate of speed and pushed Vehicle 3 into Plaintiff's vehicle. Finally, an independent witness, Mr. George Carver, also testified that Defendant's vehicle drove at a high rate of speed across the center line and struck Vehicle 3, which was then pushed into Plaintiff's vehicle. The above witnesses, Plaintiff, Peter Orsa and George Carver, were the only witnesses heard as to the causes of the accident, whose testimony established that defendant crossed over the center line into the northbound lane, striking Vehicle 3 and Plaintiff's vehicle, both which were in their correct lanes. The pictures introduced as evidence support the testimony that all cars were in the northbound right lane when the accident occurred. Therefore, the only evidence for the jury to consider was that defendant was over the center line and all other vehicles were on the correct side of the street at the time of the accident. Where it is not disputed that a driver's automobile was partially within the wrong traffic lane when it struck another car and injured the passenger, and where it is also undisputed that the vehicle which was struck was in the correct lane, the driver has the burden of proving that the accident was caused by conditions other than his own negligence. Osborne v. O'Brien, 134 Ill. App. 3d 240, 480 N.E.2d 510 (3d Dist. 1985) ; Kyrouac v. Brockman, 120 Ill. App. 3d 249, 457 N.E.2d 1074, 1076 (3d Dist. 1984) (where accident occurred when Plaintiff's vehicle was entirely in its own lane and Defendant's car had entered Plaintiff's lane of traffic, Defendant did not meet its burden of showing that he was not negligent in causing accident). Defendant not only failed to present any evidence that he was not negligent; he presented no evidence whatsoever as to the cause of the accident. Under the eviacnce produced at trial, there was no conceivable way that the jury could conclude that Plaintiff was contributorily negligent. No evidence was presented to indicate that the Plaintiff failed to act in any way which caused the accident. It is a defendant's burden under the standard of comparative negligence in Illinois to plead and prove a plaintiffs negligence. Buczyna v. Cuomo & Son Cartage Co., 146 Ill. App. 3d 404, 496 N.E.2d 1116, 1124 (1st Dist. 1986). Here, Defendant presented no evidence of Plaintiff's negligence, and it was therefore error for the trial court to issue a jury instruction on contributory negligence over Plaintiffs objection. Buczyna at 1124. (holding that because a jury's verdict cannot be based on conjecture and surmise, defendants were not entitled to instruction on issue of plaintiff's negligence where defendants presented no affirmative evidence of plaintiff's negligence). A jury's verdict will be set aside where there is a complete absence of probative facts to support the conclusion reached. Laird v. Illinois Central Gulf Railroad Company, 208 Ill. App. 3d 51, 566 N.E.2d 944, 951 (5th Dist. 1991) ; See also Mileur v. Briggerman, 110 Ill. App. 3d 721, 442 N.E.2d 1356, 1360 (5th Dist. 1982) (remanding case for new trial on issue of damages, in part, because jury's finding that evidence, taken as whole, does not support jury's finding of negligence on part of plaintiff, but rather demonstrated defendant's negligence as a matter of law). Similarly, the evidence presented at trial in the above matter does not support a finding of any negligence on the part of the Plaintiff, but rather supports a finding that Defendant was negligent as a matter of law. Accordingly, this Court should set aside the verdict entered by the jury and grant Plaintiff a new trial. In the alternative, this Court should set aside the finding of contributory negligence and award judgment in the amount of $124,500.00. Additionally, the jury was improperly allowed to consider payments that had been made to Plaintiff by the City in determining the amount of damages to award Plaintiff, in violation of the collateral source rule. Under the collateral source rule, benefits received by the injured party from a source wholly independent of, and collateral to, the tortfeasor will not diminish damages otherwise recoverable from the tortfeasor. Laird v. Illinois Central Gulf Railroad Company, 208 Ill. App. 3d 51, 566 N.E.2d 944, 954 (5th Dist. 1991) ; Muranyi v. Turn Verein Frisch-Auf, 308 III. App. 3d 213, 719 N.E.2d 366, 372 (2d Dist. 1999) (applying collateral source rule to allow plaintiff to recover for her medical expenses even though her husband's insurance may have reimbursed her for the same expenses). In Mr. Whiteman's case, the jury sent a note to the judge asking whether money awarded as a verdict would be repaid to the City, which the judge did not answer, but rather instructed the jury to consider deliberating. The jury's question shows that it improperly considered the amount of money paid on Mr. Whiteman's behalf from collateral sources in determining the amount of damages to award. For this reason, in addition to the reasons presented above, this Court should set aside the jury's verdict and award Plaintiff a new trial. For the reasons set forth above, Plaintiff Robert Whiteman respectfully requests that this Court issue an Order vacating and setting aside the verdict returned by the jury and grant him a new trial. In the alternative, Plaintiff respectfully requests that set aside the verdict returned by the jury by finding that Plaintiff was not contributorily negligent and award a judgment in the full amount of $124,500.00.